The NCRPC and its affiliate, North Central Kansas Community Network, Inc. (NCKCN), the region’s 501(c)3 non-profit organization dedicated to community development, manage the region’s Rural Business Development Initiative (Formerly Tax Credits). 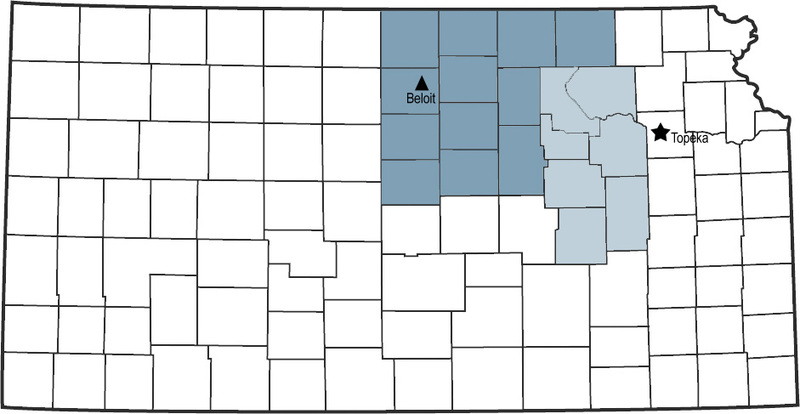 The North Central Kansas Rural Development Initiative includes 19 counties. 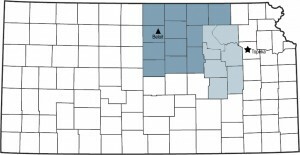 The program was made possible by the Kansas Economic Growth Act of 2004, which established a tax credit for rural business development in seven designated economic development regions (Northwest, North Central, Northeast, East Central, Southeast, South Central and Southwest) of the state. The Kansas Department of Commerce administers the overall program at the state level. If the project is determined to be qualified and beneficial to all or part of the region, additional information may be required. The program currently accepts requests for funding at any time. Keep in mind projects that are deemed worthy of receiving funds will be awarded on a first-come-first-served basis. Any project serving business sector or directly or indirectly creating businesses and employment in the following counties: Chase, Clay, Cloud, Dickinson, Ellsworth, Geary, Jewell, Lincoln, Lyon, Marshall, Mitchell, Morris, Ottawa, Pottawatomie, Republic, Riley, Saline, Wabaunsee, and Washington. Cities, counties, and non-profits are eligible to receive grants or loans or combinations thereof. $3,000 is the maximum grant available for job creation or job retention efforts as long as matching funding is also being provided for the project or in-kind project labor are being provided for the project. Contact us and discuss if a low or no-interest loan project is of interest for a small infrastructure upgrade to support business developments or expansions. Additional funding may be possible for loan assistance. $40,000 is the maximum available for an infrastructure low-interest loan project. The city or county must apply on behalf of the business that is expanding, since the city or county controls local infrastructure for the project. The public entities must follow state statutes when borrowing funds. Institutions of higher learning providing job creating services may be asked to repay a similar amount in no-interest loan proceeds as well or accept a smaller amount in grant funding or a combination of both. No direct granting of funds will occur to for-profit enterprises. Low-interest loans are possible. For-profit businesses are eligible for no more than $40,000 in loans or equity injections or combinations thereof. NCRPC/NCKCN provides a checklist of loan documentation for these types of projects. All entities must show proof of organization existence and documentation of its organization status through the Kansas Secretary of State office. Matching sources of funding at or greater than the funding request are desired in all cases. Therefore, written proof of such matching funds is encouraged in order to better ensure a commitment from the tax credit initiative. Not all projects may qualify for funding even if the applicant is eligible to apply. Examples include a large city/county infrastructure involving significant job creation or retention that is otherwise qualified under federal or state programs. Similarly, for-profit businesses must be able to prove they are not eligible to receive bank financing. If you have questions about whether or not your project does qualify, please contact the NCRPC to discuss your situation. Office staff might know of other funding sources to underwrite your project. To aid possible applicants, the review committee offers the following as examples of the types of projects most likely to receive funding in each category. Requests for amounts less than $5,000 can typically be approved with staff review, usually within 30 days of receipt. Requests for amounts at or more than $5,000 require initiative committee review, which in most cases can occur within 30 days of receipt. Once approved, you will receive a letter of award and/or contract. Where Do I Send My Application Letter? For more information, contact Doug McKinney, NCRPC Executive Director, or call the office at 785-738-2218.